My 8th graders weren't yet ready for too many choices when it was time to do clay. 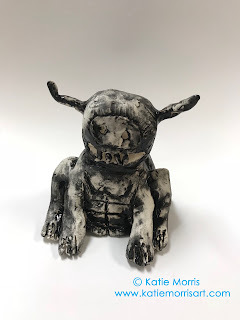 I wanted to choose a topic that would get them interested and cover a bunch of different sculpting techniques. I remembered that my high school students had made gargoyles at League Art in the past and that other students were always intrigued with the results so I chose that topic. 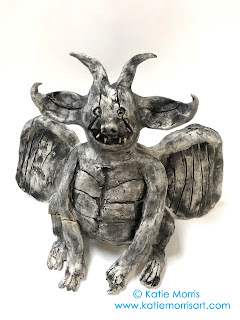 We looked at a bunch of images and discussed the history of gargoyles and grotesques both practical and symbolic before brainstorming a list of features we saw in the images. 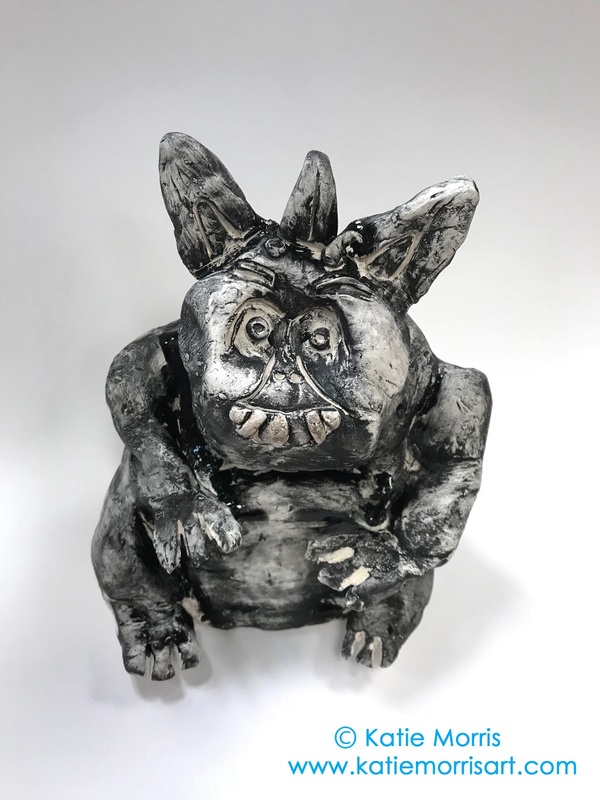 The students used the list to help them come up with ideas as they sketched out a gargoyle they wanted to make. The next day I demonstrated combining pinch pots to make hollow forms, attachment techniques, and several sculpting methods. The students set off to work on their sculptures. 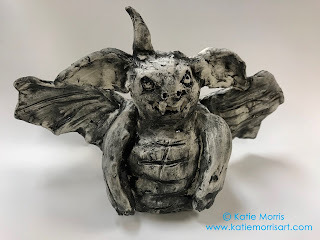 When they were ready for glazing, I showed how you can dab on black glaze then wipe it off with a sponge to create a stone effect. 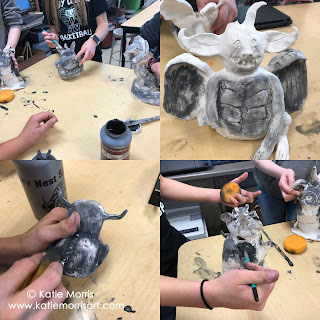 All the students chose to glaze their gargoyles with this technique and they turned out great! A few didn't wipe off quite enough so they just have some black shiny spots instead of a matte finish. The 8th graders impressed the high school students who kept asking about the projects and who had made them. The students have steadily shown more work ethic and responsibility since we moved to 3D projects so they have shown me they are ready for a theme which is how we'll finish off the semester.